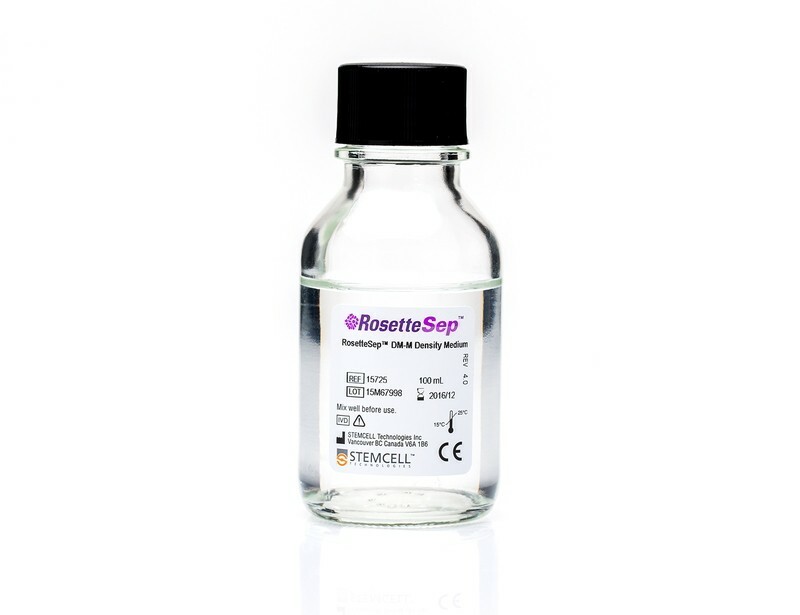 RosetteSep™ DM-M is a density gradient medium designed specifically for use with RosetteSep™ cocktails for the enrichment of specific human myeloid (CD33+) cells from whole blood. 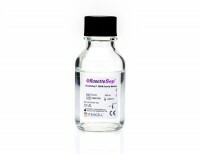 RosetteSep™ DM-M has a density of 1.085 g/mL. This kit carries the CE mark and is available as a Class I in vitro diagnostic device in the European Union and Australia. To learn more about the regulatory status of this product in your specific region, contact info@stemcell.com. RosetteSep™ is a rapid cell separation procedure for the isolation of purified cells directly from whole blood, without columns or magnets. 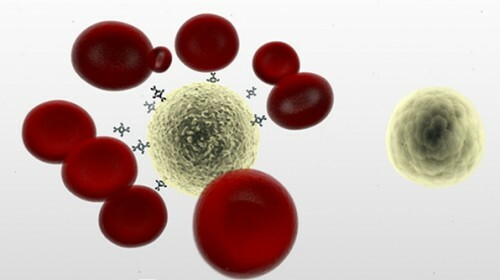 The antibody cocktail crosslinks unwanted cells to red blood cells (RBCs), forming rosettes. The unwanted cells then pellet with the free RBCs when centrifuged over a density centrifugation medium (e.g. Ficoll-Paque™ PLUS, Lymphoprep™). What factors affect cell recovery? The temperature of the reagents can affect cell recovery. All reagents should be at room temperature (sample, density centrifugation medium, PBS, centrifuge) before performing the isolations. Layering can also affect recovery so be sure to carefully layer the sample to avoid mixing with the density centrifugation medium as much as possible. Be sure to collect the entire enriched culture without disturbing the RBC pellet. A small amount of density centrifugation medium can be collected without worry. 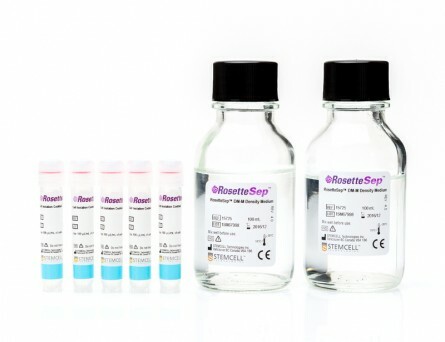 Which cell samples can RosetteSep™ be used with? 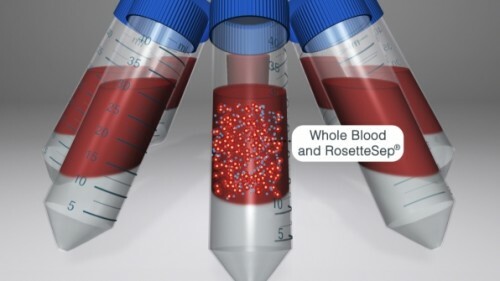 RosetteSep™ can be used with leukapheresis samples, bone marrow or buffy coat, as long as: the concentration of cells does not exceed 5 x 107 per mL (can dilute if necessary); and there are at least 100 RBCs for every nucleated cell (RBCs can be added if necessary). Can RosetteSep™ be used with previously frozen or cultured cells? Yes. 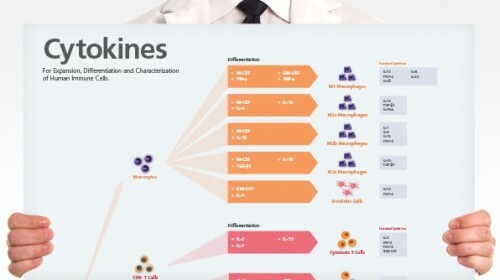 Cells should be re-suspended at 2 - 5 x 107 cells / mL in PBS + 2% FBS. Fresh whole blood should be added at 250 µL per mL of sample, as a source of red cells. Can RosetteSep™ be used to enrich progenitors from cord blood? Yes. Sometimes cord blood contains immature nucleated red cells that have a lower density than mature RBCs. These immature red cells do not pellet over Ficoll™, which can lead to a higher RBC contamination than peripheral blood separations. Does RosetteSep™ work with mouse cells? No, but we have developed EasySep™, a magnetic-based cell isolation system which works with mouse and other non-human species. Which anticoagulant should be used with RosetteSep™? Peripheral blood should be collected in heparinized Vacutainers. Cord blood should be collected in ACD. Should the anticoagulant be washed off before using RosetteSep™? 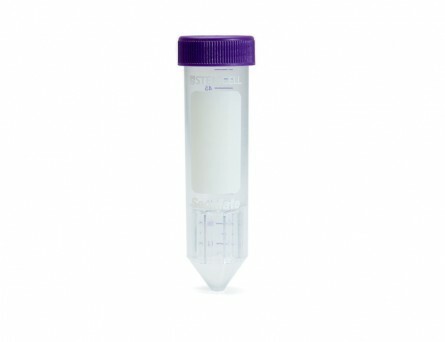 No, the antibody cocktail can be added directly to the sample. STEMCELL TECHNOLOGIES INC.’S QUALITY MANAGEMENT SYSTEM IS CERTIFIED TO ISO 13485. PRODUCTS ARE FOR PROFESSIONAL IN VITRO DIAGNOSTIC USE.